Last year when I was designing a project involving colourful felt flowers, I had to make some mock-ups to try out different colourways. 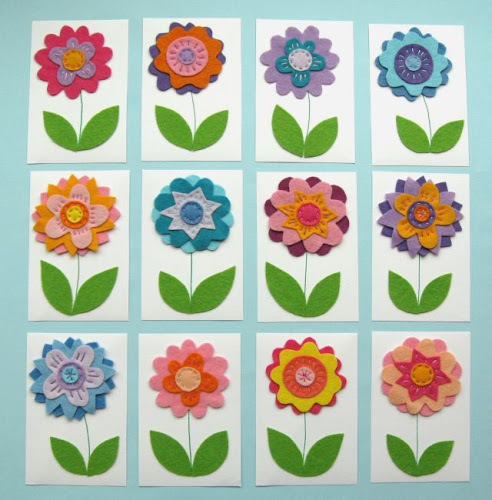 I'd not drawn the flower patterns yet so I just cut out some quick freehand shapes and used those to create several colour samples. Afterwards I thought "what am I going to do with these flowers?" It seemed wasteful to just throw them away. So I decided to use them to make some felt flower cards (well, postcards really) similar to this simple flower card. 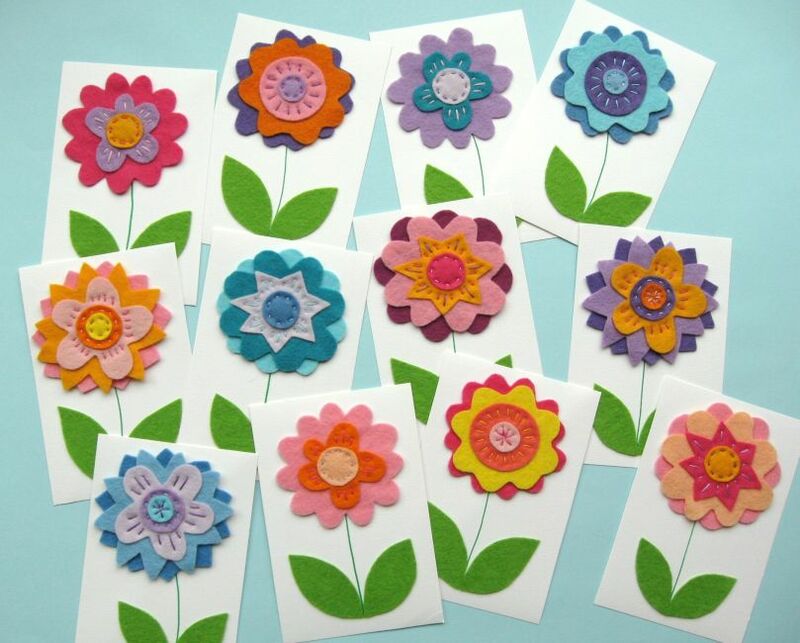 Making your own felt flower cards is easy. 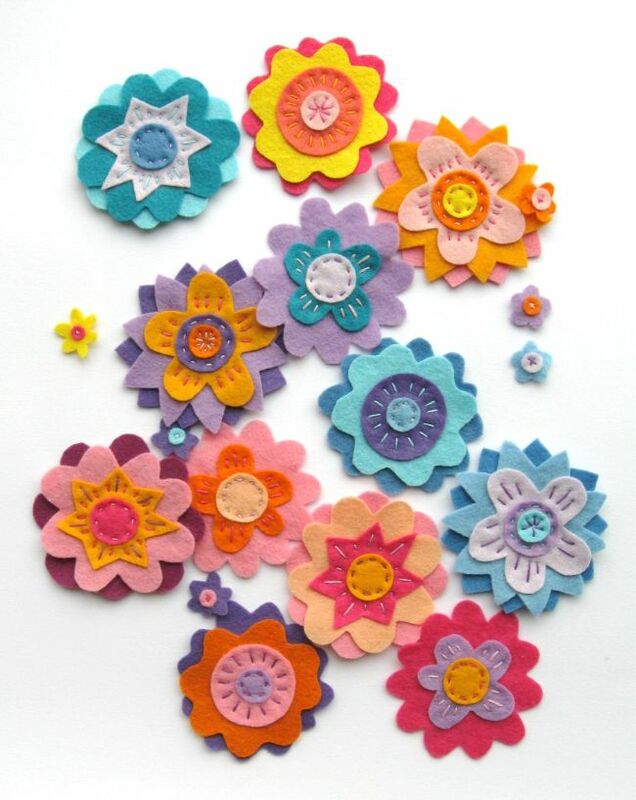 Just cut out some flower shapes from felt - draw your own designs or use this pattern. 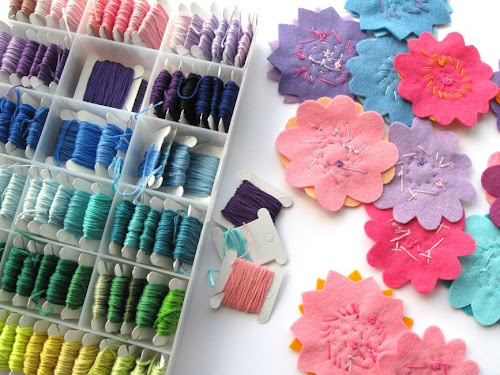 ... you won't need many stitches to hold the layers together! Then cut out some green felt leaves. Stick each flower to a card blank using double-sided sticky tape or craft glue, and draw the flower stem with a green felt tip. Use more tape or glue to add two leaves at the bottom of each stem. I'll be using my cards for work, but they'd make great cards for birthdays, Mother's Day, or just for saying a summer-y hello to a friend. 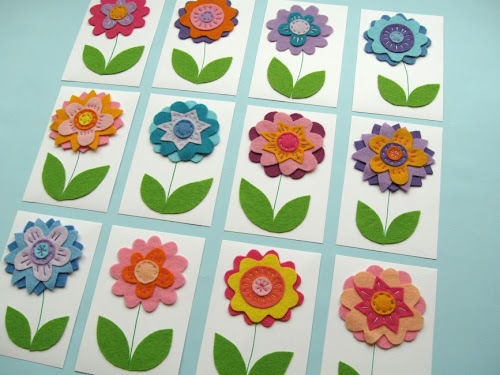 I love doing snail mail and I was running out of cards and the pattern is just perfect for me. The store brought cards are getting real expensive. One of a kind colorful and 3D cards - what a great idea! Could work for every holiday with just different shapes! Thanks for the kind comments, everyone! 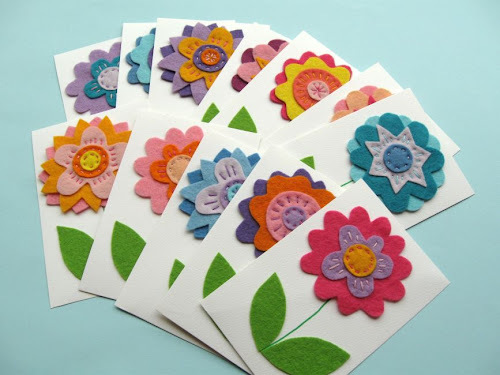 There is something extra-special about receiving handmade cards, I think.